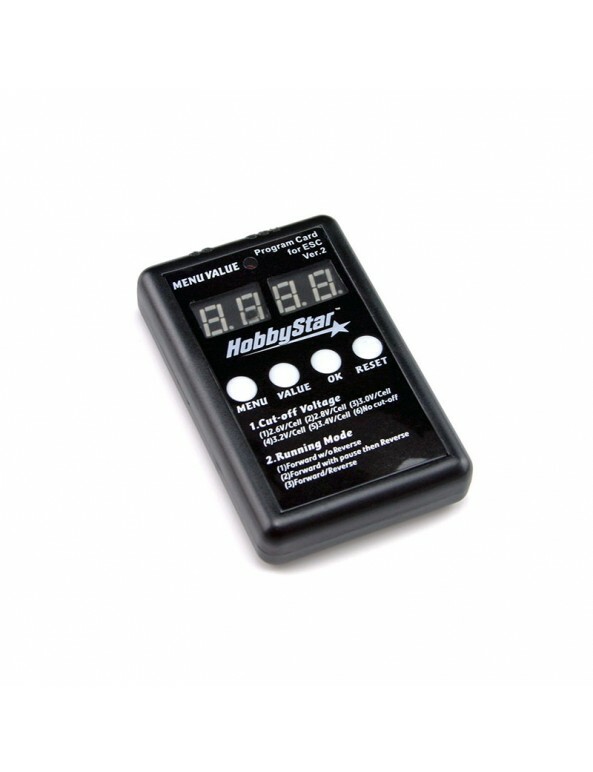 This is an LED program card for use with HobbyStar ESC's, works with 45A, 60A, 80A, 120A (non-turbo) and 150A ESC's. 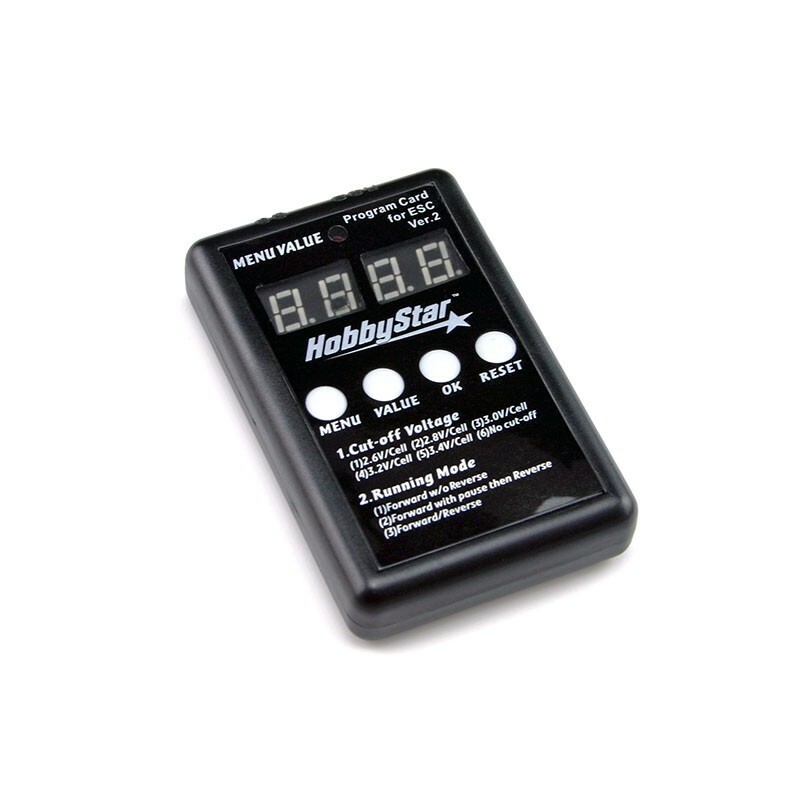 Note: This does NOT work with the 120A Turbo ESC, the HobbyStar LCD Card is required for this ESC. 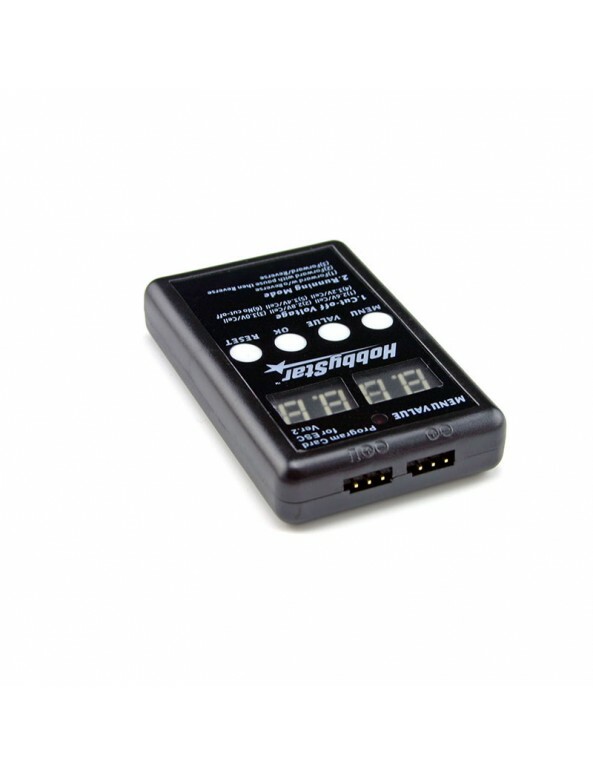 Does not work with "RTR" series ESC's. LED Program Card Instructions - Click on link to view the file, or right-click (control-click on a Mac) the link and choose “Save Link As...” to save the file to your computer. © 2019 HobbyStar. All Rights Reserved.